Just up the road from my house is a hunting club where several times a year they buy a few hundred birds and throw them off towers or from cages. Then all the men and women (but mostly men) with guns try to shoot them dead. Some of the birds escape, and a few months back they had a particularly large contingent of either extra-wily birds or extra-terrible hunters (or both), which resulted in a abundance of pheasants bobbing around in the tall grasses on the sides of the local roads. 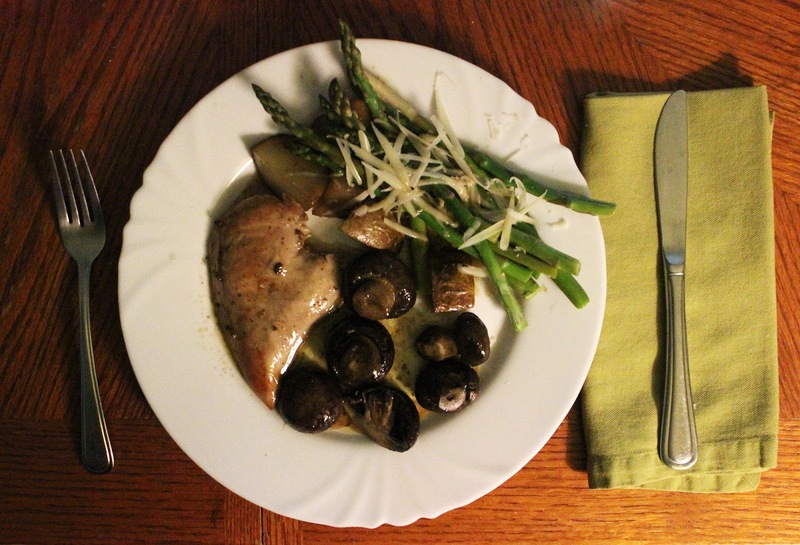 Pheasant season passed and it became illegal to kill them, but my wife expressed a desire to cook and eat a pheasant. A little research revealed that the pheasants were unlikely to survive the next winter in this area, so I decided a little poaching was in order. You know, spirit of the law and all that. 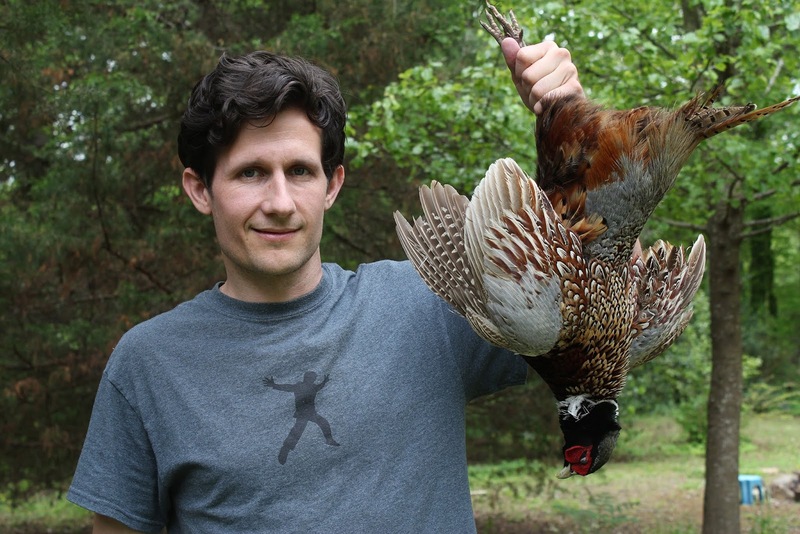 I started keeping a slingshot in the car, and on several occasions pulled over to take a shot at this or that pheasant. I missed. Every time. Then one day my wife and I were driving home along a road where I'd previously noticed (and taken a shot at, and missed) a pheasant. As we approached the corner where I'd last seen the bird, I asked my wife to get the slingshot and marble-ammunition ready. We rounded the corner―and there it was! Hanging out by the side of the road and bobbing its delicious little head. She prepared the slingshot and the marble and we watched as the bird stepped onto the road. A minivan was coming the other way at about sixty miles an hour. "Why did the pheasant cross the road...?" I thought. The bird smacked off the front grill of the oncoming minivan and into the fresh-mown grass on the other side of the road. "To be our dinner, perhaps?" The driver of the minivan didn't slow down or stop. Ashamed, perhaps? It didn't matter to us, because as we pulled up we saw that the pheasant was lying there, twitching. Irrevocably damaged and just about dead. It was beautiful, but it was a goner. I stopped, popped my trunk, and ran to the bird. It was heavier than I'd thought: about the size and weight of a small chicken. I picked it up by the feet, put it in the trunk of our car, and drove the quarter-mile home. You might think that the point of this story is that I live a charmed life and that God or (if you're of a more secular bent) the Universe is bound and determined to give me whatever I want, whenever I want it, with the least amount of criminal enterprise required. Always look both ways before you cross the street, kids. Brilliant! !👍🏻 I like the way you think!